IPU BOT Admission 2018 in ISIC Institute of Rehabilitation Sciences, affiliated to Guru Gobind Singh Indraprastha University (GGSIPU) is done on the basis of Entrance Exam. The application process of IPU BOT Admission will be started in the third week of September 2018 and will continue until the first week of October 2018. 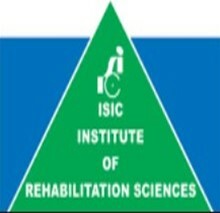 The ISIC Institute of Rehabilitation Sciences offers 4-year fulltime Bachelor of Occupational Therapy (BOT) course. There is a Common Entrance Test (CET) for admission in this course. Candidates have to appear in this CET examination to get admission in IPU BOT. Latest Update - IPU BOT CET Result is Declared on 1 May 2018. Check IPU Result 2018 Here. Education Qualification - Candidates must complete Class 12 from CBSE or equivalent with a minimum aggregate of 50% marks in Physics, Chemistry and Biology provided the candidate has passed in each subject separately. Candidates also must have passed in English (core or elective or functional) as a subject in the qualifying examination. Nationality - Only Indian Citizens are eligible for admission in IPU BOT. The IPU BOT Application form can be submitted through online mode for Common Entrance Test 2018. The application form for IPU BOT is available on the official website of the University as well as on this page. Candidates can click on the following link to fill the IPU BOT application form. STEP 1: Candidates have to fill the application form giving their personal Information such as Name, DOB, Gender, etc. in the given section. The candidates must submit their contact details and mailing address in the application form. Photograph: The passport size image of candidate’s photograph should be in JPEG, GIF format. The image should not exceed the size of 80Kb. Signature: The image of candidate’s signature should be in JPEG, GIF format. The image should not exceed the size of 80Kb. Thumb Impression: The image of candidate’s left thumb Impression should be in JPEG, GIF format. The image should not exceed the size of 80Kb. STEP 4: Qualification Details: After submitting details candidates have to fill their educational information and Internship or work experience in the application form. STEP 6: Login ID & Password: After submitting the application form a confirmation page will be open. Candidates will get their Login ID & Password in that confirmation page. Candidates can login to the University’s website using provided ID & Password. STEP 7: Examination Form: Candidates have to click on the “Course Application” button and then “Apply for Courses” button; the examination form will be displayed. Candidates have to fill the mandatory details in the examination form. STEP 8: Application Fee Payment: The application fee (examination fee) can be paid through online mode only. The IPU BOT application form has to be submitted through the online mode. Candidates should check the filled online application form before final submission because they cannot make any changes in the application form once it submitted. Candidates have to re-register in case they need to change any personal information. In case of any mistake in the application form, candidates can correct that mistake by submitting an application in physical form along with the applicable processing fee of Rs. 500 to the following address. The application must be submitted before the due date with the applicable fees. The CET Admit Card will be available online 5 days before the date of the examination. Candidates can download the admit card from the official website of the University by using their Login ID and password or can click on the following link. Candidates must have to carry their Admit Card to enter the examination hall; no candidates will be allowed to enter the examination hall. Candidates are required to carry two printouts of the admit card at the examination hall. Candidates must preserve the CET Admit Card till the admission procedure is over as it has to be handed over to the admission officer at the time of counselling. The selection of candidates in Bachelor of Occupational Therapy course will be done on the basis of CET scores and the eligibility criteria. Candidates must appear in the appropriate CET examination for admission. Only CET qualified candidates will be considered for admission the University Counselling. IPU BOT CET Code is 194. The merit list of qualified candidates will be displayed after result declaration. The qualified candidate will be called for counselling/admission depending upon the number of seats available. The admissions will be made only out of these qualified candidates strictly in order of merit. The Common Entrance Examination (CET) will be conducted in pen & paper mode. Candidates have to give their answer in OMR answer sheet. The subjects for this entrance exam are mentioned below along with their weightage.